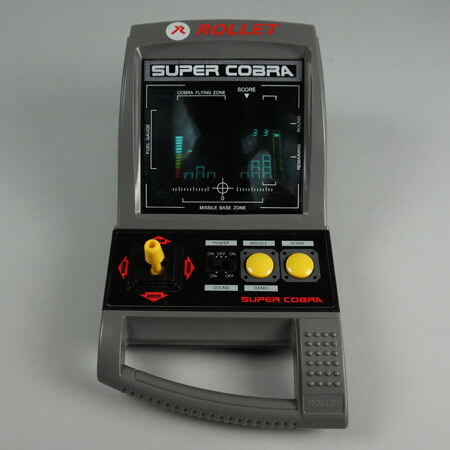 Extremely rare ROLLET version of the Gakken Super Cobra game. 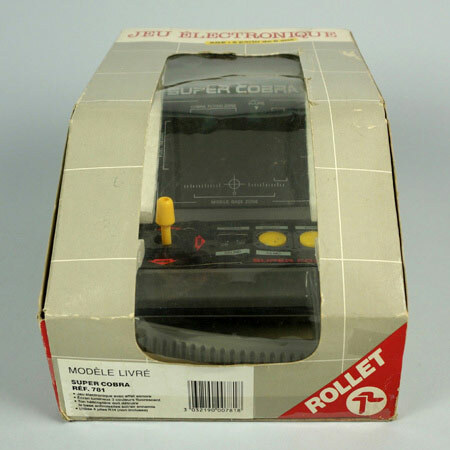 It has a carrying grip, to underline the "portable game" idea. 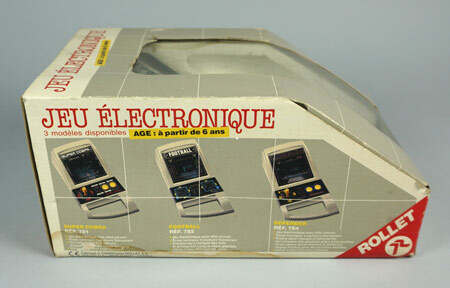 Great quality product, with a rather unusual box design.